An Israeli company is about to sell bulletproof backpacks to schoolchildren in the United States. 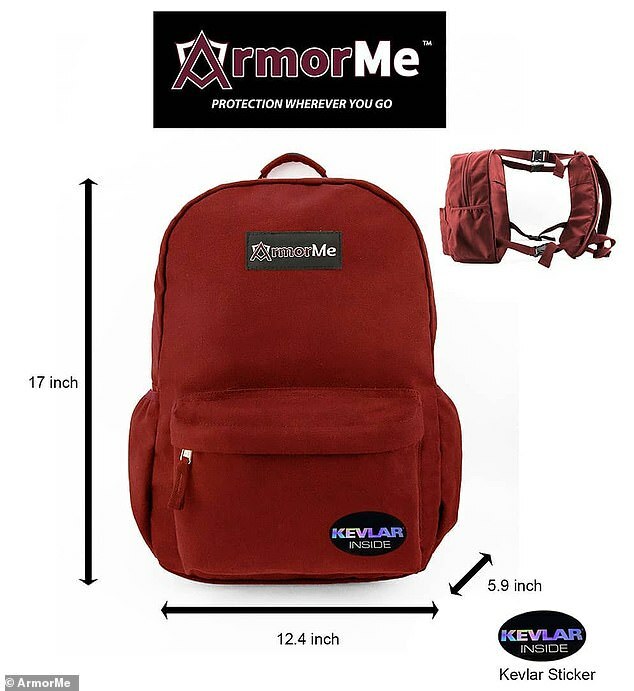 The company, called AmorMe, has ties to the Israeli military and security services and have specifically developed a backpack aimed at students. Then Kevlar-covered backpack will be on store shelves from next month and is designed to protect pupils from surprise shooters. The Israeli company said that the design was spurred on after an alarming uptick in school-centered violence, as well as other terror-oriented attacks. 'We never know when violent attacks may occur,' security specialist and Israeli Defense Forces Colonel Dr. Gabi Siboni said. The packs are designed with safety in mind and for the most common attack scenarios. 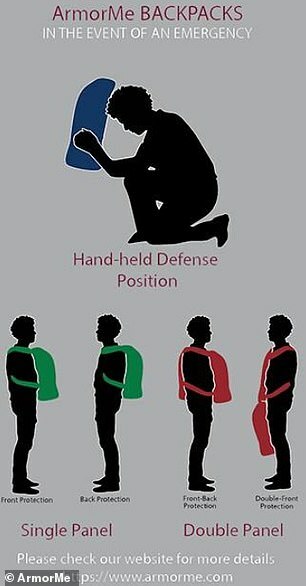 They include a guide demonstrating how the pack can be fitted over the front of one's body. The Kevlar used apparently exceeds the global standard for safety for handgun attacks, with coverage from neck to waist when worn in front or back. The backpack is expected to cost around $160-190 for a single paneled backpack, while a double-paneled version will costs between $210 to $250 and provides coverage for both sides of the torso or from the neck to the knees on their front or rear. 'We built this backpack to address the daily reality of student life,' Siboni.